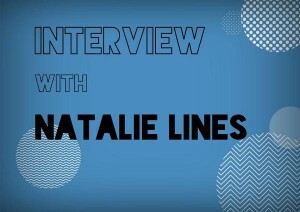 Interview With Artist Natalie Lines! Illustrator, Natalie Lines, has worked for all kinds of magazines such as Company, V Magazine and InStyle Magazine . On her Behance profile it states, “Natalie Lines is a self-taught illustrator based in the Midlands. Her recent projects have been for Dorothy Perkins, House of fraser, Lissie and Lady Gaga.” She is just 22 and yet has already had an awesome career, and it is set to just get better and better. She regularly posts on her blogspot about her current projects and there are many, and I am lucky enough to ask her a few questions about it all… yay! Today I am lucky enough to talk to possibly my favourite photographer, of all time. Her evocative photographs seem to speak to me in a way that words just can’t. She manages to strip emotions bare, and very openly delivers the truth in her work. Her portfolio has been so unique, a personal favourite, was a self portraiture project named 365, whereby she took a self portraiture each day of the year. What was particularly poignant was her relationship with nature, and the way that changes with the seasons. The whole collection was thought provoking and beautiful in equal measures. She also has a fantastic portfolio of fashion photography and commission work which I would urge people to look at. Her life is spent capturing beauty, in it’s many forms, and delivering it in her own unique way. Her name is Alexandra Cameron. Today I’m talking to Kye Sones, who is best known for being a contestant in last years’ X Factor competition! Kye was a chimney sweep until his world changed when he decided to go to the X Factor auditions, at the London O2 last year. He sailed through each round, straight to judges’ houses. Take That singer, Gary Barlow, then made the crucial decision to put him into his ‘Over 28’s’ category. 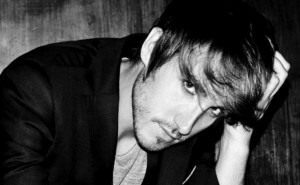 Barlow commented, ‘I think he is going to be an amazing contestant’. How right he was! His renditions of I Can’t Make You Love Me and Save the World were flawless and his version of Let Me Entertain You was, simply put, amazing!